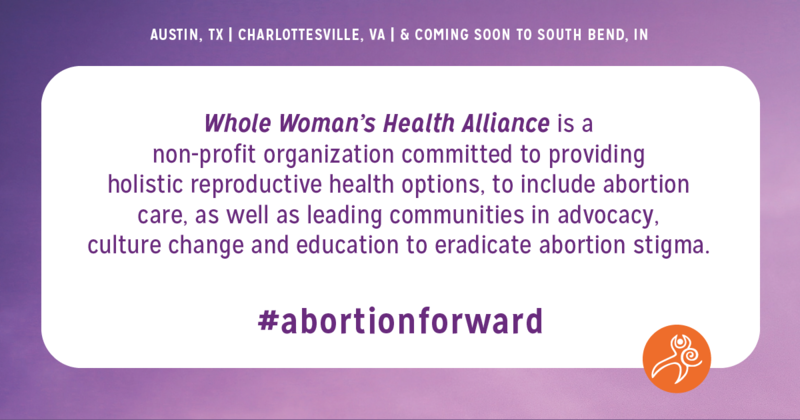 October 30, 2017 – (PRESS RELEASE) Today, Amy Hagstrom Miller, founder and owner of Whole Woman’s Health, announces her latest endeavor to open two new abortion clinics in South Bend, Indiana and Charlottesville, Virginia under a non-profit Whole Woman’s Health Alliance (WWHA). Hagstrom Miller operates independent abortion clinics in five states, including Texas where she won a major victory for women and families in the 2016 case, Whole Woman’s Health v. Hellerstedt, the most consequential abortion rights case to go to the Supreme Court in a generation. Both Indiana and Virginia are classified as “extremely hostile” to abortion rights, having passed new laws in recent years to burden women seeking abortion and force clinics to close. In 2014, some 95 percent of Indiana counties had no clinics that provided abortion care and 66 percent of Indiana women lived in those counties. Indiana now has only six clinics open to serve women in the state, dropping from 10 in 2011. In 2014, Virginia had only 18 abortion clinics, representing a 14 percent decline in clinics from 2011. Now Virginia has just 13 open clinics. In 2014, some 92 percent of Virginia counties had no clinics that provide abortion, and 78 percent of Virginia women lived in those counties.